Wellness Travel is the desire to promote, maintain and improve one's health and well-being while on vacation or traveling for business. Well-Being Travel ... is a travel organization whose mission is to educate travel professionals, and travel suppliers in the growing trend of wellness travel so they can education their consumers. We are an advocate for the travel agent; helping put travel agents and travel suppliers together. Are you a Travel Agent interested in Wellness? With health and wellness reaching $494* billion dollars in annual travel sales, there is a terrific opportunity for travel sellers to become proficient in wellness l in order to assist the growing number of clients looking for these types of services. Today's travelers are increasingly seeking wellness treatments. That's where Well-Being Travel steps in to help you in this growing wellness market. Are you a Consumer interested in taking a Wellness Vacation? Our Well-Being Travel Specialists have all completed the Well-Being Travel Specialist course offered through The Travel Institute, which is known for creating national standards of excellence for travel professionals through its education programs. When you work with a Well-Being Travel Specialist, you can be assured that you're in the hands of one of the best health and wellness aficionados in the travel industry. Our Well-Being Travel Specialists can help you plan the perfect journey. Are you a Travel Supplier that offers Wellness Travel products? Let us help you promote your wellness travel products and destinations to the travel trade and their clients! We have also partnered with Travel Market Report, a travel trade publication that reaches 40,000 travel professionals daily. We're a part of a larger organization, aan affiliate of TMR. A publicationhat reaches 40,000 readers daily. *****Travel Market Report is also the only travel trade publication that has a section dedicated to destination and niche markets.. Through our numerous marketing vehicles, we have the ability to market wellness travel to the travel agent distribution channel as well as their clients. 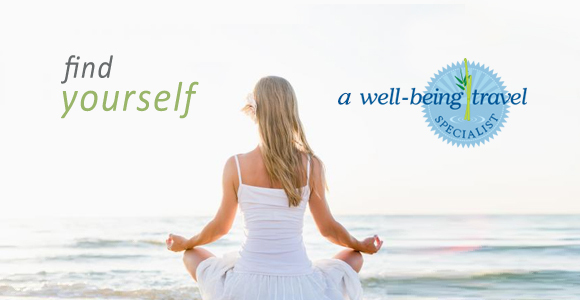 Click here for a full overview of the Well-Being Travel Supplier Membership Program. Coming Soon: A searchable directory of all of our Well-Being Travel specialists and travel products.